In an industry Where being visible is a must, turning producers seems to be the ‘plan-B’ for many actors and actresses. Shah Rukh Khan, Priyanka Chopra Jonas and John Abraham. 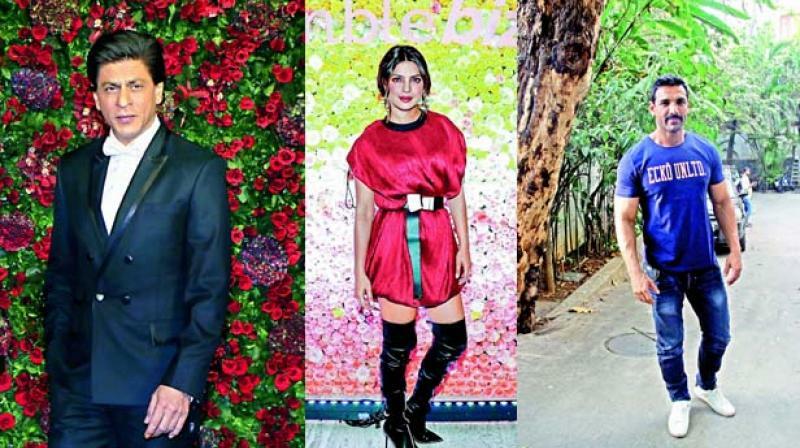 Another example of taking the charge of producing good content and meaty roles is sister-duo Rhea Kapoor and Sonam Kapoor. While the latter isn’t producing the film, she is wholeheartedly supporting her sister in her venture and is also the leading lady in Rhea’s all films — Aisha (2010), Khoobsurat (2014) and Veere Di Wedding (2018). It is to be noted that these aren’t the only ladies who have launched their production houses. In the past, we have seen Preity Zinta, Ameesha Patel and Lara Dutta venturing into production — all in an attempt to relaunch themselves.